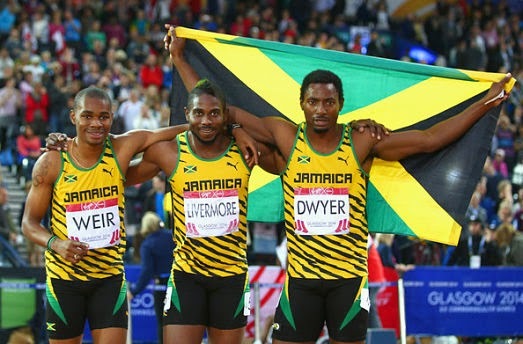 Following the example set a day earlier by Team Jamaica superwomen Stephanie McPherson, Novlene Williams-Mills and Christine Day in the 400M, on Thursday the formidable trio of Rasheed Dwyer (20.14 seconds), Warren Weir (20.26) and Jason Livermore (20.32) left nothing to chance as they scorched the track to register a 1-2-3 finish, reminiscent of London 2012, in the Men's 200M final. That's what we call blazing a trail. 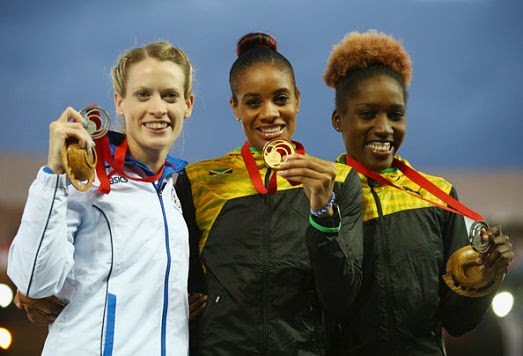 Demonstrating incredible fitness and her trademark physicality, Spencer proved an unstoppable force as she powered her way to the gold-medal finish (54.12 secods) we'd been anticipating in Thursday's finals of the Commonwealth Games 400M hurdles. So she had reason to beam as radiantly as she did hours later, as the Jamaican national anthem filled Glasgow's Hampden Park. Atta girl! Chadwick Boseman is currently earning raves for his tour-de-force portrayal of the late James Brown in Tate Taylor's Get On Up. 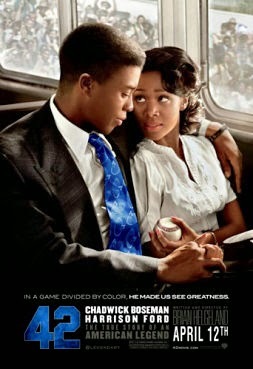 But long before he donned the Godfather of Soul's cape, dancing shoes and trademark pompadour, Boseman had convincingly channelled yet another African-American pioneer - Jackie Robinson — in this strongly acted and deeply affecting look at race, class and the price of dignity. Assembling 14 of the finest short stories ever awarded a coveted gold medal in the JCDC-run National Creative Writing Competition, this breezy anthology offers a stunning showcase of talented yet little-to-relatively known Jamaican writers who demonstrate considerable skill and distinctly island storytelling. Among the notable names included: A-dZiko Simba, Rudolph Wallace, Claudette Beckford-Brady and ace newswoman Dionne Jackson-Miller. Published in honour of Jamaica 50, the anthology's e-book version was recently launched in Kingston. Get your praise on with this tuneful collection of the top 10 tracks in this year's contest. Keneisha Smith's militant "Prayer Warrior" may have snagged the first-place trophy, but in a word all the songs are standouts, with such highlights as runners-up Orville Sutherland's groovy "Cool Shade" and Adrian Dell's reflective "Blessed and Highly Favoured." The CD is on sale now at JCDC offices islandwide. 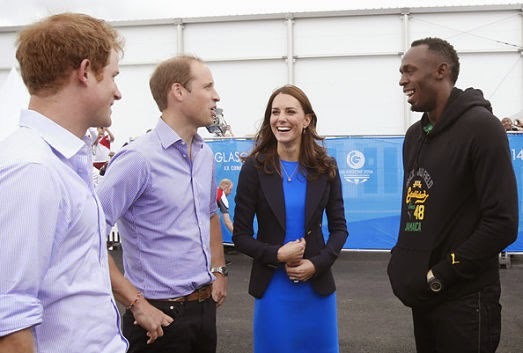 LOOK WHO'S TALKING: The royal heirs chatting up the World's Fastest Man in Scotland. Injury-free and anticipating a solid relay-leg performance on the track, the World's Fastest Man made a welcome return to the spotlight this week, holding court inside the Athletes' Village at the Commonwealth Games in Glasgow, Scotland. Comfily attired in trademark designer duds, Bolt was snapped sharing candid conversation and a few laughs with heirs to the British throne Prince William, Catherine Middleton and Prince Harry. (Baby George was MIA). Wonder what they gabbed about. An upcoming poker night at Buckingham Palace? A Christmas trip to the Caribbean? It's anyone's guess, but you can conclude that their banter was lighthearted and free-flowing. On a more serious note, we'll have to wait and see what magic tricks the trailblazing sprinter has up his sleeves this season, but TALLAWAH remains convinced that whatever the results, they'll have tongues wagging in the sporting world and elsewhere, leading up to next year's World Championships, where it's expected that Bolt will face mighty competition from young upstarts like Kemar Bailey-Cole and Nickel Ashmeade and perennial rivals Justin Gatlin and Yohan Blake. 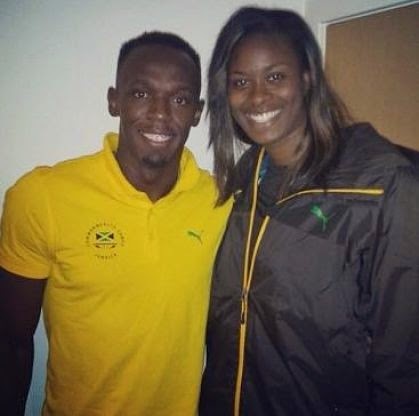 After all, it's Bolt's mission to mystify and lead the sport of athletics into exciting new realms. Meanwhile, since last appearing on the international scene, the world record holder has been busy diversifying his global brand, while maintaining close ties with sponsors Puma and Virgin Media, for whom he's currently starring in a new UK TV ad spot. Now we hear he's poised to make the obvious next step by teaming up with famed American investor Horace Madison (rapper Lil Wayne's business manager) to birth his very own prepaid debit card! Plans are still at the infancy stage, according to one report, but like any smart businessman, Bolt (and his management team) is one who concerns himself with not only pleasing and surprising his legions of admirers but, perhaps equally important, what's coming next. MAKING A POINT: The theatre veteran sounds off on the status quo. There are a couple of things the theatre community must do to refortify its presence in the Jamaican art world: re-educate people about the true role of the theatre and entice them into returning in their large numbers to pack the theatre houses. That's what Dahlia Harris told TALLAWAH in a recent conversation centred on the plight of the industry seemingly inching its way toward collapse. "I've been saying it for years now that theatre is going to get to a point where we will be losing audiences because as an industry we don't look at ways to promote theatre in general, for people to develop an appetite to want to see plays," the concerned playwright-producer noted. "If that appetite is developed they will come." But in the same breath, Harris is quick to suggest that the regular theatre-going public, at least in her experience, has grown restless. Not surprising, some would say, given the dismal state of the economy that has heightened a culture of penny-pinching. "Everytime I see some of them, they ask me, When is your thing coming out on DVD or when is it coming to TV?," Harris recalled. "So they want to stay home and see the shows. So it is up to us to get them to come out to the theatre. How do we do that?" Stakeholders, like veteran writer-producer Karl Hart, have been trying to make sense of the developments in a troubling crisis, which has since forced him to shut down the Pantry Playhouse after more than a decade, with plans to transform it into a more lucrative venture. "Theatre is going through a metamorphosis. People are not coming out as much as they used to, and as a producer if you don't sell benefits you're in deep trouble," Hart observed. "The business of theatre is what we don't focus on enough." Harris feels the same way. Total team work, she believes, will help the industry regain firm footing. 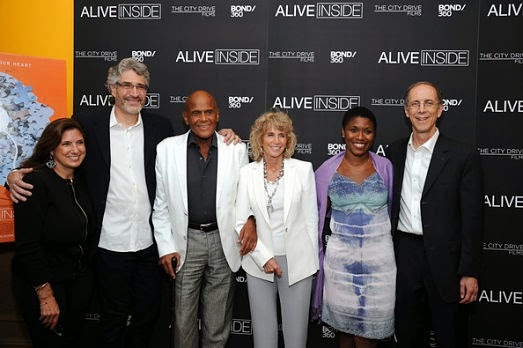 "And one producer alone can't do it; it has to be a collective drive," Harris insisted, "to re-engage people and re-educate them about theatre. And if we don't we're all going to be in trouble." As one of the most respected voices in the contemporary set-up, Harris is eternally optimistic about the road ahead. "I am. I think the theatre arts programme in schools has been doing a lot in terms of creating awareness among the students," said Harris, currently the Ministry of Youth and Culture's Principal Director of Culture. "Then we need to see how best we can take that to another step, in terms of the students becoming regular theatregoers, and then getting their parents, their families to come back to fill that space." 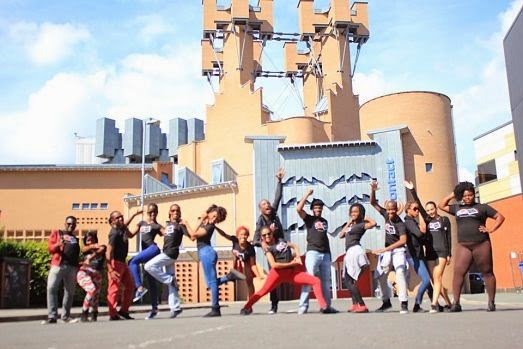 WE RUN THIS: Troupe members strike a pose on location at the July 2014 festival. Led by their fearless, boundary-pushing artistic director, Rayon McLean, the fast-evolving Quilt Performing Arts Company prides itself on being open to new experiences. So the recent Contacting the World festival in the United Kingdom was right up their alley. As the sole representatives from this side of the world, Quilt's members were in for an eye-opening ride that reminded the youngsters of theatre's singular power to transform and elucidate. "It was a great cultural exchange, where we learned terrific new approaches to theatre," shares senior group member Sanjay Thompson, adding that prior to flying off to join the other participants from around the world, they did their homework. "Up to the time of the competition we interacted with the companies online via social media," Thompson says. "It worked really well. They learned our approaches and we learned theirs. So when we went there we were able to show them other aspects of our Jamaican culture and they showed us theirs. We took away a lot from the festival, learning new approaches and applying them." The stint at Contacting the World is the latest coup for the performing arts crew that has, in the past, dominated the Tallawah drama competition, mounted acclaimed small-scale shows (which combine gritty-witty storytelling with youthful, liberating energy) and continues to advance from strength to strength. So what's up next for Quilt? Nothing yet on the immediate horizon, but you just never know where their zeal and wandering eyes will take them next. "There's always something new happening for us. We don't stop," Thompson says. "We're always working hard and putting our best foot forward." BACK IN STRIDE: After the painful ordeal she endured earlier this year, fans rejoiced with Veronica Campbell-Brown (left) as she returned to stunning physical form on the track this week, narrowly missing out on the gold medal in the 100M final at the Commonwealth Games in Scotland, with a time of 11.03 seconds. 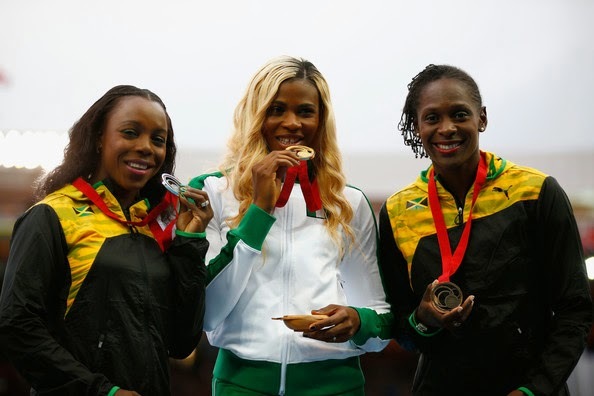 Kerron Stewart (right) also made her presence felt on the track, securing bronze. Nigeria's Blessing Okagbare took gold. BORN TO RUN: Kemar Bailey-Cole (centre) meantime, proved he'll be a force to be reckoned with at next year's World Championships, after blazing his way to cross the tape ahead of the rest of the field in the Men's 100M Final, in 10 seconds flat. 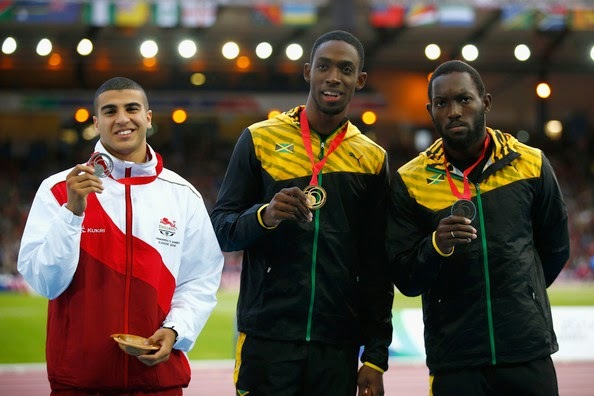 Compatriot Nickel Ashmeade took third place while England's Adam Gemili won the silver medal. 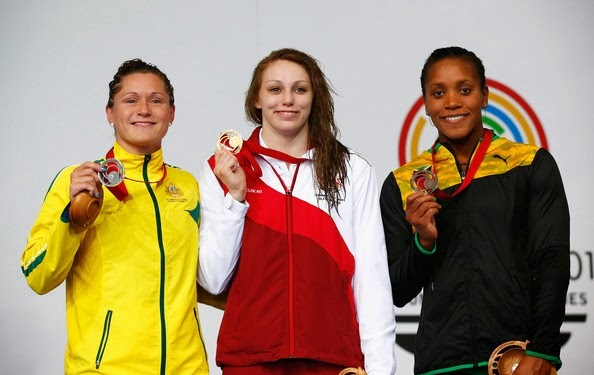 IN THE SWIM: A third-place finish in the 100M breaststroke saw Alia Atkinson (right) making a return trip to the medal podium in Glasgow, alongside gold medallist Sophie Taylor and silver medallist Lorna Tonks. HISTORY MAKER: "This feel great. 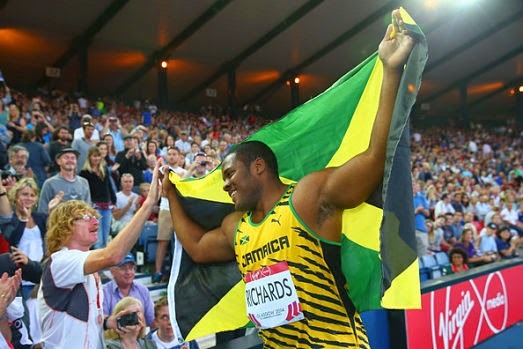 I hope that this will inspire the next generation of Jamaican throwers to do great things," O'dayne Richards told the media moments after creating history as the first-ever Jamaican to win gold in the shot put at the Commonwealth Games, achieving a distance of nearly 22 metres, ahead of his closest rivals who hail from New Zealand and Canada. FANTASTIC FOUR: And saving the best for last: We couldn't have asked for a more thrilling result from the female quarter-milers who went above and beyond the call of duty, sweeping all three medals in the finals on Tuesday. 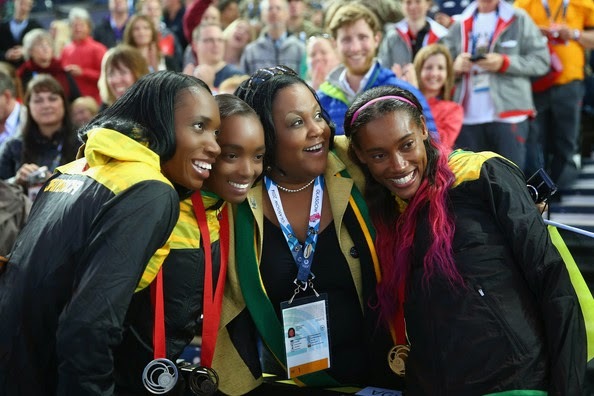 Sport minister Natalie Neita-Headley was on hand to celebrate, girl-power style, with Stephanie McPherson (gold), Novlene Williams-Mills (silver) and Christine Day (bronze). BRIGHT IDEA: "Hopefully, more opportunities can come about," says the rising solo star. "I don't have a favourite genre; I like to listen to everything and new stuff. So sometimes my neighbours will probably hear some African music coming from my room, then they might hear some Hindi. I just enjoy music overall." This coming from talented singer-songwriter Sanjay Thompson (stage name SanJ), a senior member of the fresh-from-the-UK Quilt Performing Arts Company, whose solo exploits are starting to bear fruit. "I get inspiration from music, so I'll write a song or go to my producer and build a beat." For what it's worth, "Jamaica Boom" is a stunning early achievement that has granted the 22-year-old Thompson a sturdy foundation to build on. Asked why he opted to enter the JCDC-run competition, he responded, "I've tried songwriting, and I noticed I've been improving on it." As for his primary musical influence, the answer is a no-brainer. "Generally, my influence is John Legend," he says. "Sometimes some of my friends call me John because he influences me so much I end up singing the songs off his album and don't have no other songs to sing." He laughs at the recollection. In 2012, Thompson entered a regional song-for-radio contest, placing second out of scores of participants. It was all the encouragement he needed. "I said to myself, I can do this; I have the talent. I love culture. This is it," he recalls of his Eureka moment. Now, with another runner-up notch just added to his belt, Thompson is anxious to discover what the future holds and where his talent will take him. "Hopefully, more opportunities can come about and that will help me because I can't do it on my own," the St. Jago High grad admits. "We're young, so competitions like these give us exposure in the pursuit of our dreams." ALL FOR ONE: Prize winners assembled for a round of picture taking at Island Village, 2013. In the past, Reggae Film Festival chief organizer Barbara Blake-Hannah has repeatedly voiced concern over, among other things, the continued lack of sponsorship for the event, soon to turns 10 years old. As a result, the 2014 leg of the festival is up in the air at the moment. In a message addressed to the "fans and followers" posted on the RFF's Facebook page last week, Blake-Hannah explained, with the faintest hint of optimism. "We continue to receive questions asking if and when the film festival will be held in Jamaica this year. We regret that we cannot give a positive answer now, but we want to assure everyone that good news is on the way," the statement read. Established in 2006 in Kingston, it's first home, the festival was granted some north coast hospitality in 2013, occupying the spacious grounds of Island Village in Ocho Rios in August 2013. It remains to be seen which venue (Kingston-based of out-of-town) will provide lodgings if the 2014 staging gets the green light. But in spite of the continued challenges, Blake-Hannah further emphasizes, the festival remains committed to its core mission of recognizing the work of emerging filmmakers, many of whom are seeking that initial career break. "We have several new films waiting for the Reggae Film Festival's special international exposure," she said, "and we promise to provide them with the opportunity to shine at home and abroad." STRONG SUIT: Smith performing her winning entry at the national finals on Sunday. 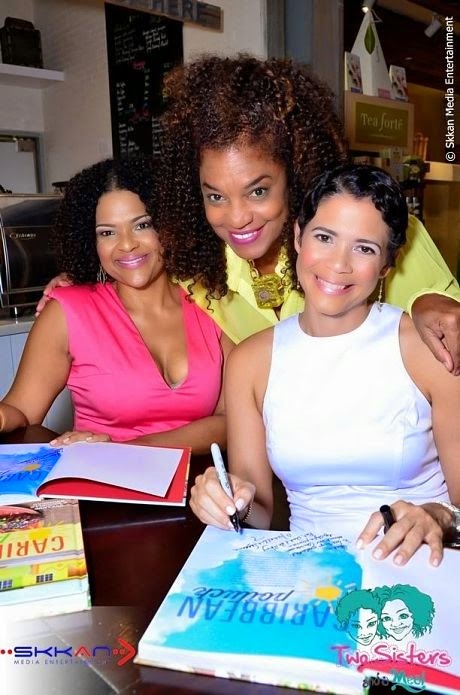 Keneisha Smith grew up in the tough Spanish Town community of St. John's Road, but she'd long decided she would never let the stifling, less-than-ideal circumstances of her hard-scrabble neighbourhood cripple her ambition and yen for progress. "Looking back now feels awesome. I'm coming from the ghetto, real ghetto, but I knew I was never going to let where I come from determine where I ended up or what I achieved in life," recalls the diminutive Smith, a former University College of the Caribbean student. 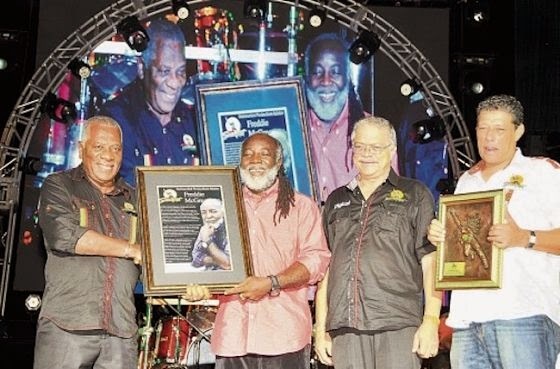 On the cups of 22, Smith became one of the youngest ever winners of the long-running Jamaica Gospel Song competition, whose 2014 grand finale rocked the Ranny Williams Entertainment Centre on Sunday evening. Unsurprisingly, Smith credits her momentous triumph to hard work and her unwavering Christian faith. "I serve a God who is the king of the universe, and I am a daughter of the king," says the singer, an active member of the Holiness Christian Fellowship Church, situated in Willowdene, St. Catherine. "[The win] is truly a blessing from God, and it feels really, really good." 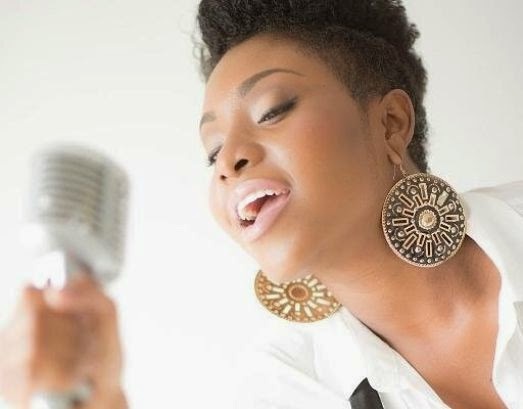 The biological offspring of a popular St. Catherine-based deejay/selector, Smith reveals that from a tender age she found herself trying to keep pace with dear ol' musical dad. "I would always be deejaying with him, and I remember when I gave my life to the Lord (around the time of her sweet 16), I asked for inspiration to be able to sing with my father. And that's how I got the the song "Prayer Warrior." As it turns out, the song - a jaunty, militant ode to the power of supplication - won over the competition's judges, who not only awarded Smith top marks for its uplifting content and rousing message but also voted her Best Performer and Best Lyrics. Watching Smith storm the stage, prance and wave, before dramatically dropping to her knees left little doubt that she is indeed "a prayer warrior for the Lord" who knows how to ride a slick beat. Living legend Joan Flemmings agrees that Smith is something special. "When I saw her onstage, I was blown away," Flemmings tells TALLAWAH. "I told her afterwards, 'You have it.'" POWER BALLAD: "I tap into what's out there now," the singer says of her musical sensibilities. In her stage performances (rendering tunes like "Fly Away," "Hard Way" and her most recent chart-climber "Bang Bang"), Ikaya Blair comes across as the round-the-way chick with attitude and big voice who sings from the gut. Offstage, you'd be hard-pressed to find a more delicate flower. Chatting with TALLAWAH in her Ranny Williams dressing room following a knockout performance at the National Festival Song competition on Saturday night, the gritty songstress opens up on matters of identity, career success, and female empowerment. TALLAWAH: The bold subject matters you tackle in your music range from our harsh socio-economic realities to abusive relationships. Why those topics? Ikaya: Everybody has their ups and downs when it comes to being in a relationship or being a survivor, so I sing about reality. I tap into what's out there now and just put it to pen and paper. We all go through a rough phase in our relationships, whether its cheating, being manipulated or being abused. We all go through it. So how do you define yourself as an artiste? I'm a very soulful artiste, and my music reflects that. My inspiration comes from the fans and everyday living; what we're going through as a society. People around me inspire me, so I have a lot to draw on as an artiste. How do you feel about being a Jamaican woman at this critical point in our nation's history? How do I feel? I'm making sure I do the hard work that it will take to make me even more successful. (Laughs). Moving forward and putting in the work. The songs will speak for themselves and doing good music will speak for itself. So I'm just gonna continue doing good music. Be honest: How do you really feel about the Etana comparisons? She's a good artiste, and I love her music. It doesn't bother me at all. As history will attest, one of the constant refrains among women in local entertainment circles is the 'Can't we all just get along?' catchall. What has been your experience in the biz so far, in terms of getting along with other female entertainers? I think we need more unity in the business. That's one of the things we really need to work on as females. Women empowerment and supporting each other. Personally, I don't have anything against any other female artiste. I love everyone that's out there right now and doing their thing. I don't have beef with anyone. I don't know why some people think I am hype. Maybe it's because I'm more of a reserved kind of person. I don't speak a lot, and if I go out I'll say hi and then I'll just stay in the corner. But they don't know seh ah just shy mi shy. Yes. They interpret it the wrong way. I'm very, very shy. > Watch the video for Ikaya's latest record "Bang Bang"
ACTION TIME: Per countless online reports, organizers of the just-opened Commonwealth Games in Glasgow, Scotland, are beyond thrilled that the World's Fastest Man will be gracing the track at the championship (Bolt will compete in the sprint relay) in the hope that his presence will serve to heighten the global spotlight on the multi-disciplinary event. 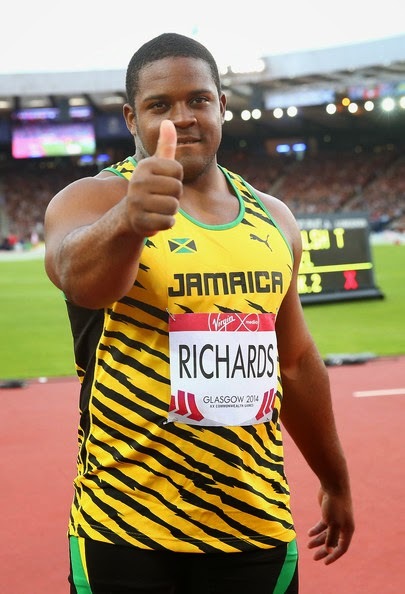 For his part, however, the iconic athlete remains focussed on staying injury-free as he gets his 2014 season underway, starting with that relay leg for Team Jamaica next weekend. "It's been rough," admits Bolt, who has foot surgery in March, in an interview for the UK's Telegraph, "but I've been through it a couple of time so I know what it takes to get back. So I'm just pushing on and working towards what's necessary for this season. 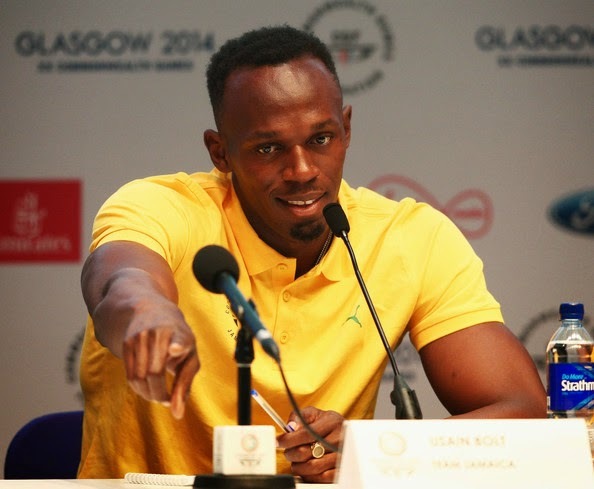 Over the summer, we expect big things from the track superstar (pictured here at a Jamaican press conference in Glasgow on Saturday), who is no stranger to surprising the sporting world with jaw-dropping performances - on and off the track. SIZZLING START: "I am ecstatic, even though when I look back I wanted to win the gold medal," silver belle Alia Atkinson told reporters on Friday in response to her second-place finish (she very narrowly missed out on the gold) in the Women's 50M Breastroke Final at the TollCross International Swimming Centre during Day Two of the Glasgow Commonwealth Games in Scotland. As Atkinson puts it, her medal hunt has only just begun. "This has work up a lion inside of me and I can't wait for the other events." 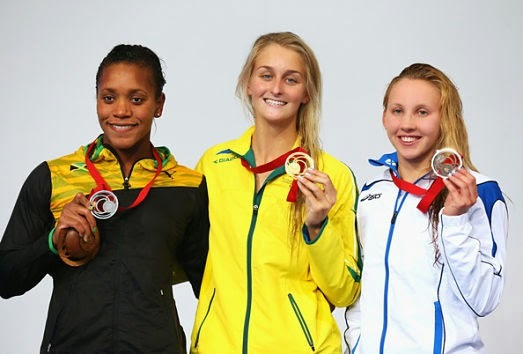 Pictured above, the Jamaican pool princess poses alongside gold medallist Leiston Rickett and third-place finisher Corrie Scott. Meantime, Atkinson is not the only Jamaican off to an impressive start at the summer championships, as the Sunshin Girls have been busy stamping their class on the netball court, with easy dismissals of St. Lucia and Northern Ireland so far. Medal hopefuls putting in the work. LIFE LESSONS: The author (inset) broaches a touchy subject with upcoming book. The kids are not all right. That's precisely Joy Fairclough's assessment of modern-day Jamaican children and the state of their learning abilities, based on the many, many years of field work, classroom experiences and exhaustive research she's done. Deeply concerned, she knew she had to take action and was spurred to write the soon-to-be-published Music With Mathematics Principles: How to Teach, How to Learn Towards Exam Mastery (due out this summer), which contains over three decades' worth of observation and tried-and-tested techniques. The 46-year-old classroom expert-turned-author talks to TALLAWAH about the book's importance and the delicate dance between learning and teaching. 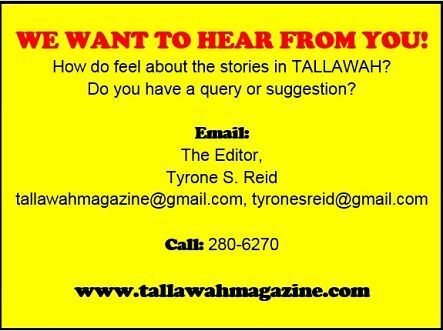 TALLAWAH: As a teacher and consultant, you've been quietly conducting research on Jamaican kids and their learning abilities for years. What have you discovered? Joy Fairclough: I have visited a lot of schools over the years as a musician, as a teacher and taught privately for many years. And it seemed to me that the cognitive skills of the children who were coming to me we getting lower and lower; their ability to deduce, to reason, was cause for concern. And as a result I was using what I had learned in college to basically help them to improve on things like discipline and memory and various other issues, and how to reason things out for themselves. TALLAWAH: So who exactly is Music With Mathematics Principles aimed at? J.F. : It's aimed at the adults, the educators who need to properly teach the children, and it is also aimed at students who are old enough to understand the material. I would not expect a small child to use the book. TALLAWAH: I understand that your own imprint Joy Music Limited is handling the publishing. J.F. : The economy is bad, budget is tight, so it's being published as a limited release. The aim is to get it into the university libraries first. And e-books will then be made available. TALLAWAH: So, in a nutshell, what aren't Jamaican parents and teachers doing when it comes to instructing children on how to become productive and well-adjusted citizens? J.F. : I can't say in the interview what I have highlighted in the book as the missing link, but it is something that I am helping them implement in the Jamaican educational system. People need to read the book. It's what I have tested for over 30 years. Everywhere I go, both here in Jamaica and abroad, people are amazed about how well it works. J.F. : I'm telling you. Many of my past clients had tried all different kinds of private schools and different methodologies to get their children sharp and focussed, and then they come to me, and by the time they leave it's such a difference. For me, it's a case of using the tools of music and showing it's applicability to other subjects and life in general. To learn more about Joy Fairclough and her work, visit joymusic.webs.com.